Fine art shipping is not only about shipping paintings, prints, sculptures, and figurines. 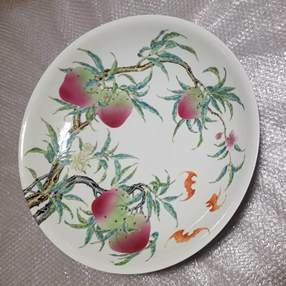 Fine art shipping is also about shipping porcelain, ceramics, gilt-bronzes, and even antique furniture. 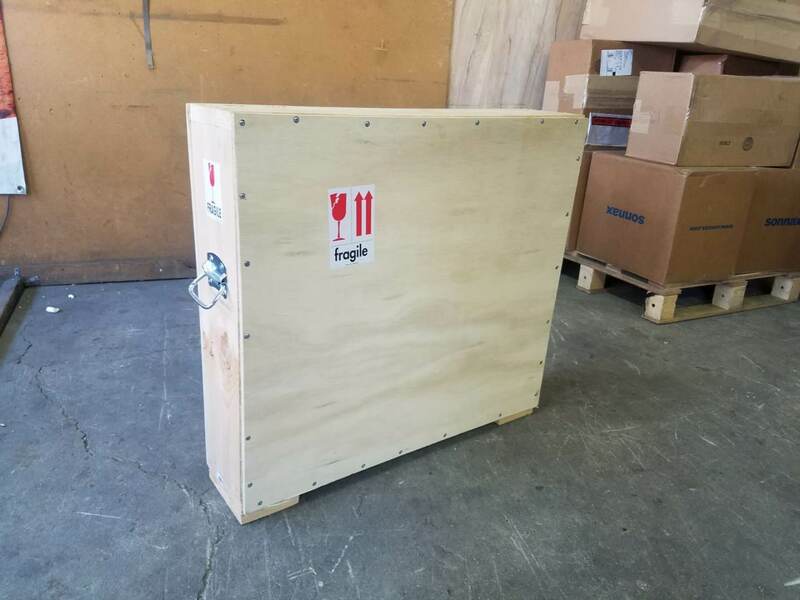 In fact, every single item that is too valuable, fragile, or delicate to be transported by a regular carrier requires professional fine art shipping and crating services from a reliable art logistics company like Fine Art Shippers. From moving a collection of paintings to the upcoming gallery exhibition to packing dished for shipping over a long distance, we can provide you with any services you need. Moreover, we will do it for you in the most cost-effective way possible! Some dished are so valuable and unique that they are sold for tens and even hundreds of thousands of dollars. 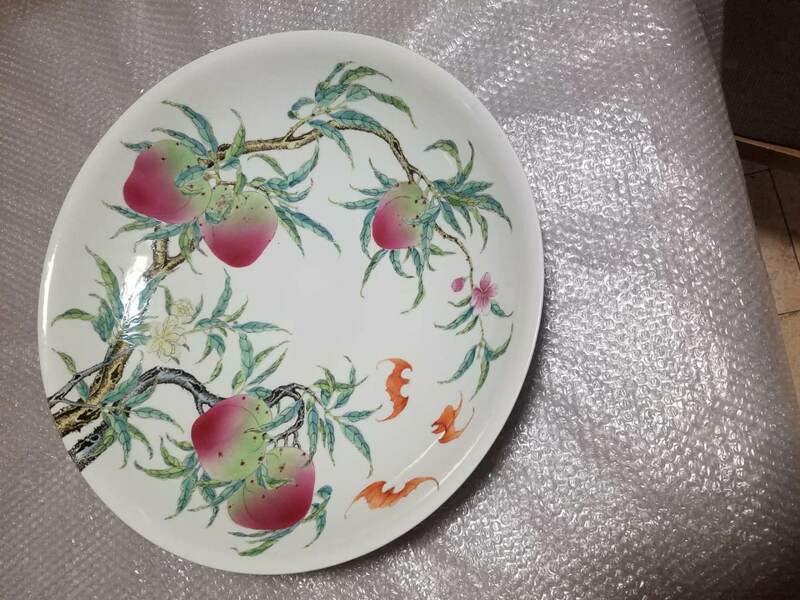 This is particularly true for one-of-a-kind antique Chinese dishes offered by the leading auction houses worldwide. 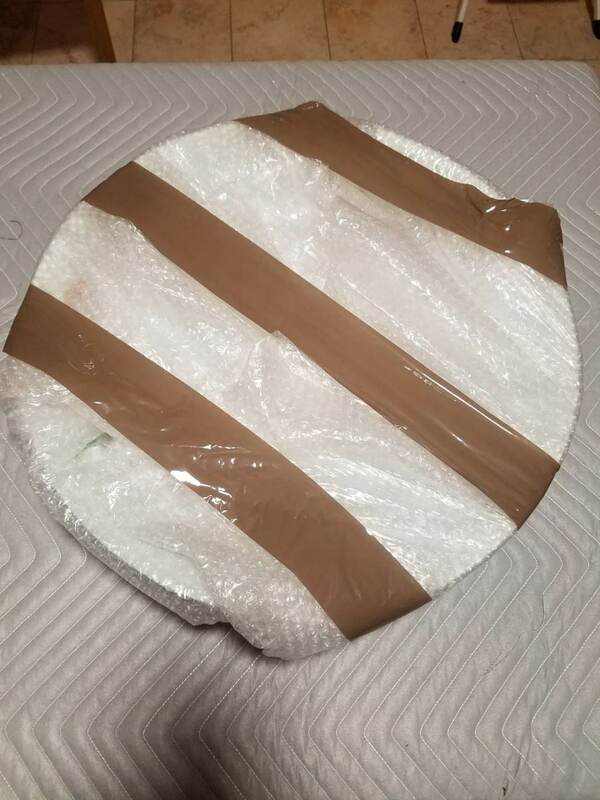 At Fine Art Shippers, we know everything about packing dishes for shipping, and we can handle even the most challenging task. 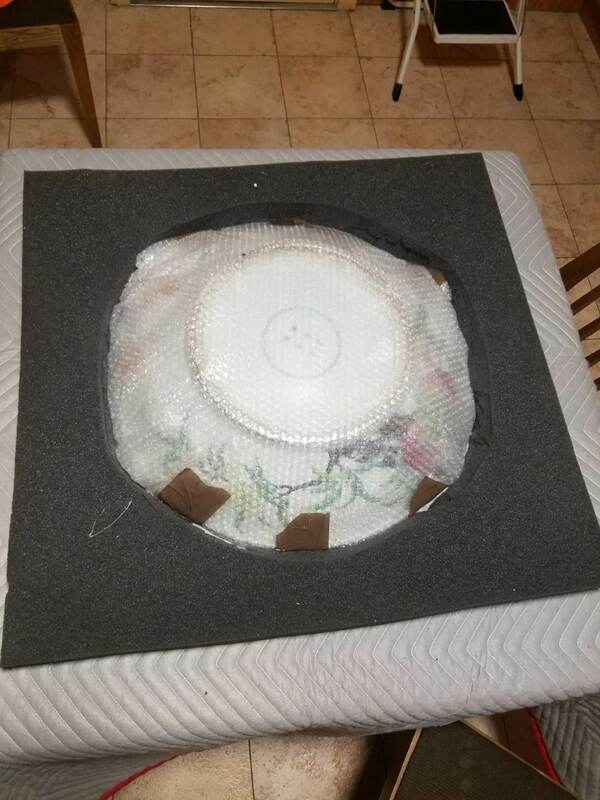 For example, last month, our team was entrusted to pack and ship a large famille-rose dish dating back to the Qing Dynasty of the late 19th century. This beautiful porcelain masterpiece was sold at Sotheby’s New York Asian Art Auction for an impressive $22,500 while being estimated at only $7,000 – 9,000. At Fine Art Shippers, we frequently pick up art and antiques sold at Sotheby’s New York auctions, and each time it is a great pleasure for our team. 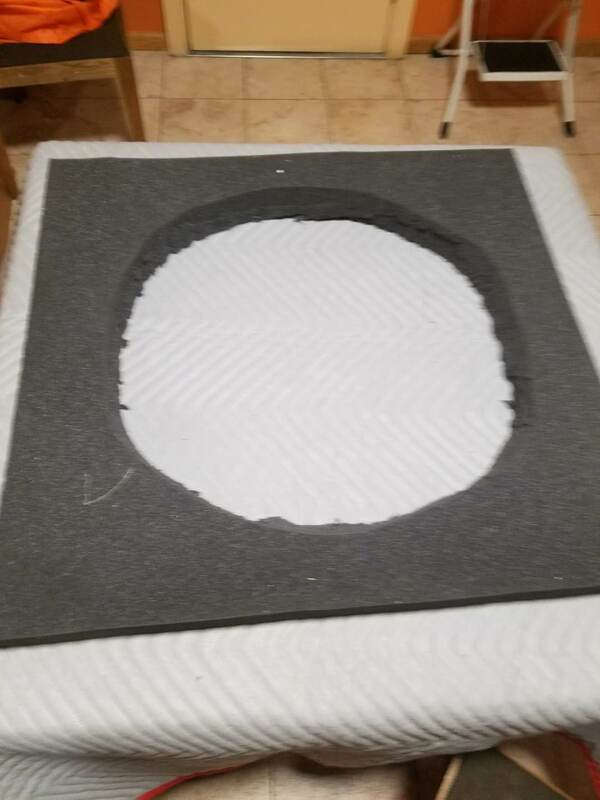 Moreover, we love to visit Sotheby’s art storage unit at Crozier location in Newark, NJ and work with their highly professional staff who know what they do. Besides, being there is always an exciting experience and an amazing opportunity to apply our skills. 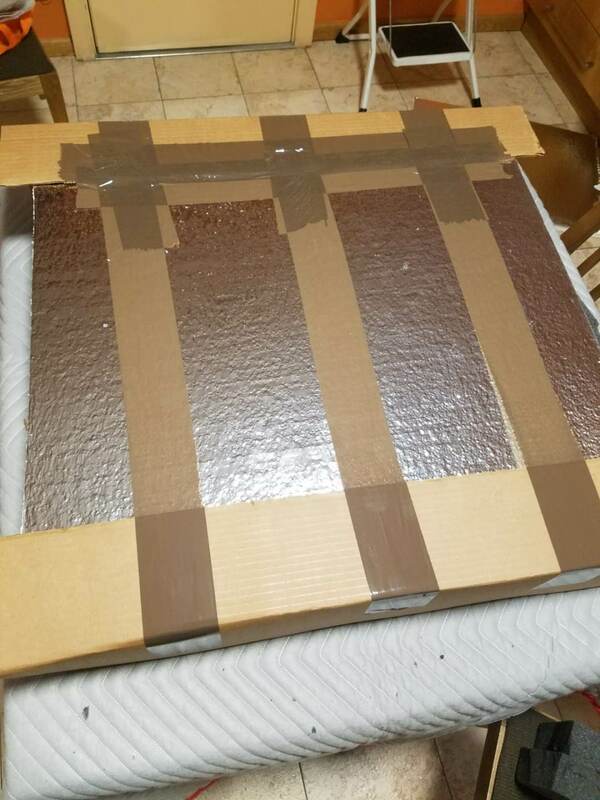 In the photos below, you can see the entire process of packing dishes for shipping, from wrapping and packaging the piece in specially cut cardboard with foam to crating it in a custom-made wooden art crate built by our team. It is also important to note that while Fine Art Shippers specializes in handling and shipping art of exceptional value, our services are all available at very competitive rates to meet any budget. In other words, whether it comes to packing dishes for shipping over a long distance or moving an entire estate from A to Z, you can contact Fine Art Shippers with confidence. You are sure to love our service and prices!